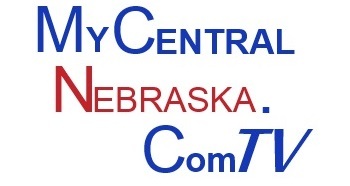 LINCOLN – Today, Governor Pete Ricketts announced tax receipts had performed 2.2 percent below the certified forecast upon which the first year of the current biennial budget is based. At a news conference, the Governor was joined by State Budget Administrator Gerry Oligmueller and Tax Commissioner Tony Fulton to discuss the state’s approach to managing the state budget in light of the $95 million gap between forecasted tax revenues and actual tax receipts received. 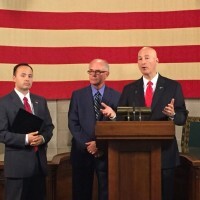 At the news conference, the State of Nebraska Tax Commissioner outlined some of the economic factors behind the gap between the forecasted and net receipts received. At a special cabinet meeting this morning, the Governor outlined new budget guidance for cabinet-level agencies. Reduced Allotment: Reduce quarterly allotment of current legislative appropriations to state agencies, boards, and commissions by one percent to incentivize additional spending restraint and to prepare for possible budget reductions. Hiring: Review all vacant positions and determine improvements in management or process to allow postponement or elimination of additional hiring. Travel: Prioritize essential travel necessary for the safety and protection of our citizens. Explore technological alternatives, such as video calls and web meetings, in lieu of traditional meetings necessitating travel. Technology and Equipment: Coordinate software and hardware purchases with the Office of the Chief Information Officer to identify the greatest savings and shared use possible. Limit equipment purchases to those necessary for process improvement or to maintain services. Grants in Aid: Seek efficiency from your partner political subdivisions or other organizations in providing state services. In addition to this guidance, the Governor urged agencies, boards, and commissions to examine how fees and assessments should be reduced to eliminate excess fund balances and spur economic activity. Copies of the Governor’s memos to state agencies are attached.